Exceptional, up to date . . . modern design. The main entry invites you in with tall ceilings to a bright and open formal living room, with floor-to-ceiling window offering views of the outdoor oasis and golf course, just beyond. 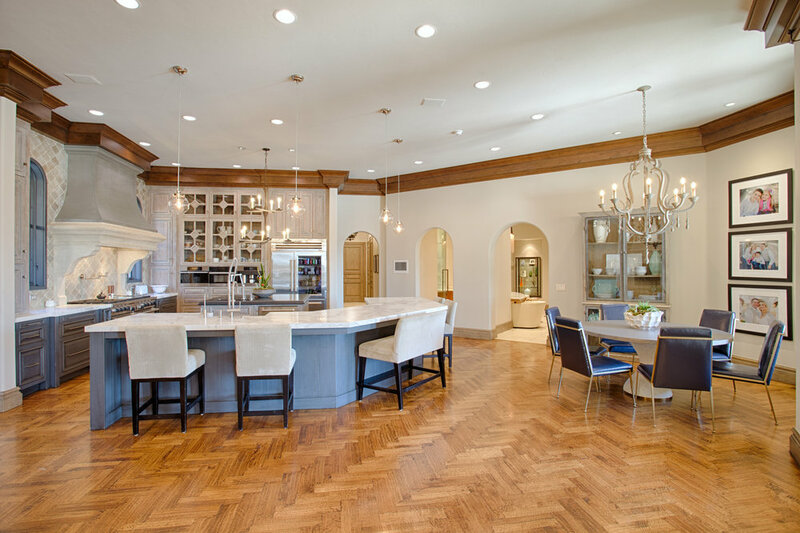 The heart of the HOME is comprised of the large, open family, kitchen and dining rooms--great for entertaining, but casual enough for just hanging out with friends and family. The unique circular bar area with wine storage, is eye catching with its onyx counter-tops and zebra wood cabinetry. The executive-style study features rich wood-paneled walls. In addition, you’ll find on the lower level, a spacious master with spa-style master bath (and closet, even Carrie Bradshaw would fall in love with), secondary bedroom with a large closet which also serves as a safe room, and private casita suite which is attached to the main house by a covered breezeway. 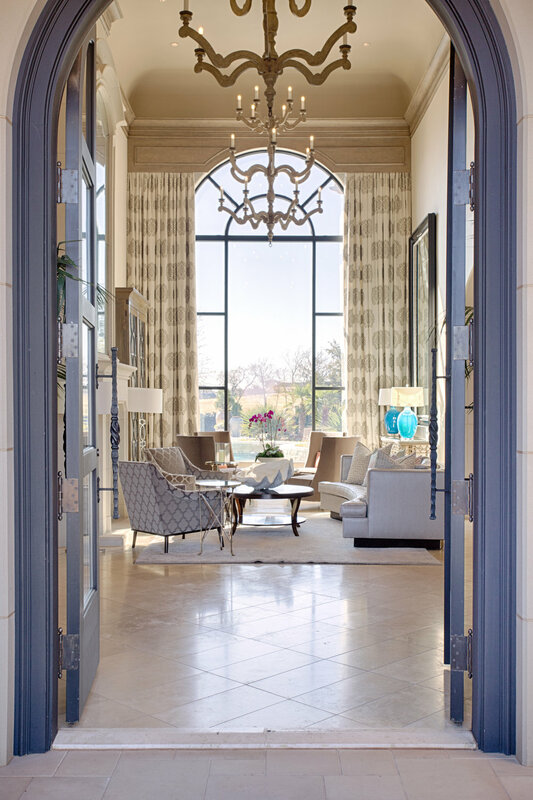 Let the elevator take you up to the second level where you will find two additional bedrooms, media/entertainment, workout room, upper living space, and wide-spread balcony overlooking sprawling views of Gaillardia golf course. Gaillardia is a private gated golf course community, conveniently located to the turnpike, local restaurants, shopping and medical facilities.